If you are building a .NET application and you are struggling to find a way to host Word documents, Excel spreadsheets, PowerPoint presentations, Visio drawings orProject files, you might consider using the Visual C++ ActiveX Control for hosting Office documents. I learned about this download resource and I was shocked to see how you can add it to your solution and start working with Office applications in less than a minute. You can open Office applications, format content, update documents, save changes, print, and more inside your application. The EDraw Office Viewer Component is an Active X control written in MFC. The download includes some sample codes to use it inside Visual Basic, HTML pages, C#, Asp.NEt. You can also enable and disable specific functionality by using a full set of properties, methods, and events exposed for customization. This activeX control is designed to handle specific issues that make dificult the handling of ActiveX documents from a non-top-level host window. Serves as a starting place for constructing your own embedded object file viewer or editor as an ActiveX control. EDraw Office Viewer Component is a great solution for companies wishing to display read-only Word document data and Excel sheet to their employees while restricting modifications to the underlying data. You can play the powerpoint file in the same window. You can also display password protected Word documents without supplying passwords to your users - keep your confidential data safe and secure! With the office ocx it is easy to upload or download file between server and client via HTTP/FTP. · Intergrated with all functions of Word Viewer OCX, Excel Viewer OCX, PowerPoint Viewer OCX, Project Viewer OCX and Visio Viewer OCX. · Read-Only Support for Word document and Excel Sheet! It is a great solution for companies wishing to display read-only Word document data and Excel sheet to their employees while restricting modifications to the underlying data. · Play SlideShow at the same window. You can play the microsoft PowerPoint file in the same window or full screen mode. · You can also display password protected Word documents without supplying passwords to your users - keep your confidential data safe and secure! · HTTP/HTTPS Support. With the office ocx it is easy to upload or download file between server and client via HTTP/FTP. · Support More file types. You can open all the file format suppoted by Microsoft Word such as doc, docx, dot, rtf, txt, mht, xml, wps, wri, wpd, wps, wpi, olk, pab. You can also open the follow file in the Microsoft Excel sheet such as xls, xlsx, xlt, xlw, cvs. · Switch to different View such as edit view, normal view, outline View, print preview view, reading view and web view. · Multiple Language Support. Easy to modify the interface in run time/design time. · Support Office Automation. Enable the developer to customize the office application by the dispatch interface. 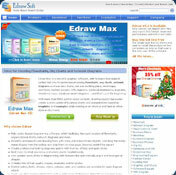 · This EDraw Web Office Component is currently running in over 100 of the Fortune 1000 companies, in over 40 countries. You cannot download any crack or serial number for EDraw Office Viewer Component on this page. Every software that you are able to download on our site is legal. There is no crack, serial number, hack or activation key for EDraw Office Viewer Component present here. Our collection also doesn't contain any keygens, because keygen programs are being used in illegal ways which we do not support. All software that you can find here is freely downloadable and legal. EDraw Office Viewer Component installation package is prepared to be downloaded from our fast download servers. It is checked for possible viruses and is proven to be 100% clean and safe. Various leading antiviruses have been used to test EDraw Office Viewer Component, if it contains any viruses. No infections have been found and downloading EDraw Office Viewer Component is completelly problem free because of that reason. Our experts on malware detection tested EDraw Office Viewer Component with various spyware and malware detection programs, including fyxm.net custom malware and spyware detection, and absolutelly no malware or spyware was found in EDraw Office Viewer Component. All software that you can find on our servers, including EDraw Office Viewer Component, is either freeware, shareware or open-source, some of the software packages are demo, trial or patch versions and if possible (public domain licence), we also host official full versions of software. Because we want to be one of the fastest download sites on the web, we host all the software including EDraw Office Viewer Component on our servers. You cannot find here any torrents or download links that would lead you to dangerous sites. Rate EDraw Office Viewer Component 5.6.578.1!